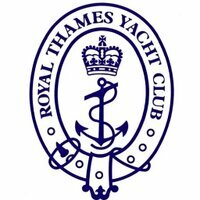 Congratulations to Royal Thames Yacht Club; winning the Carmela Cup from Oxford and Cambridge Sailing Society. Wessex Exempt beat Royal Thames YC Red in the Petit Final. The Carmela Cup is the RYA Open Championship of Two-Boat Team Racing in Keelboats and will take place on Saturday 19th and Sunday 20th January 2019. More information about the Carmela Cup is available on the event information page.